Quartz is one of the most popular countertop materials in homes today. In fact, about 40% of homeowners report that they chose quartz in their kitchen renovation projects. Versatile and durable, quartz makes the perfect material for countertops. No wonder so many homeowners are keen to install it in their kitchen. Some homeowners, however, are looking for something different. The good news is that there are plenty of countertop alternatives to quartz. Whether you are replacing your countertops or just at the beginning stage of remodelling your kitchen, there are many options to choose from. Check out this list of the six best quartz countertop alternatives. Solid surface countertops are great because they’re easily customizable and often made to order. It is much cheaper than other materials, but that comes with its own price. Anything hotter than 100 degrees Celsius will permanently damage it. While this material is great for creating seamless curves and designs, solid surface usually contains acrylic components, making this countertop porous and easily stained. Hence, you’ll need to exercise some care when it comes to maintaining your kitchen surface. Most people associate marble with luxury – palaces come to mind. But in fact, it can sometimes be cheaper than granite! However, the recent low supply of marble slabs has pushed up the prices for marble turning it into a niche market. Along its highbrow reputation, marble countertops come with high maintenance. Marble is porous and it doesn’t take much to scuff up the surface. Be careful in the kitchen with these countertops. Being a natural stone consisting mostly of calcium carbonate, it is susceptible to etching from leaving acidic food directly on the surface. Dulling your marble countertop isn’t a matter of how, but rather, a matter of when. If you love natural stone, granite is one of the best countertop choices because it’s relatively low maintenance and you can find it in a variety of styles. Scratching a granite countertop is the least of your worries although it is advisable to use a cutting board when you are using a knife. This tip offers your knives protection from getting dull and blunt. This demonstrates how tough your granite countertop is! Besides the usual shiny surface, you can even find it with a leathered finish. It’s a classic choice for an elegant kitchen. Like every natural stone which are porous, resealing is part of its maintenance. One step down on the maintenance ladder is soapstone. It’s still higher maintenance than granite, but staining is not as much of a concern. Soapstone is a natural stone that is softer than granite, making it a very DIY-friendly countertop. It lends a certain old-school charm and warmth to your kitchen. Unlike marble and granite, it is resistant to etching and staining due to its non-porous nature. However, you’ll have to be careful not to scratch or dent your countertop with sharp or heavy objects. If you are cautious in your kitchen, you won’t have to worry about chips and water rings on your countertop. For a really different style, check out butcher block countertops. These counters are usually composed of some kind of wood. You can use anything from walnut to maple, and even bamboo! Unfortunately, these countertops are also vulnerable to heat. Unlike, solid surface countertops, they can also stain, which means homeowners need to be more cautious with this countertop style. Stainless steel is highly resistant to corrosion, which makes it one of the most hygienic materials on the market. Of course, that also makes it a great material to use in your kitchen. They are quite expensive, but if you’re going for a more industrial style, stainless steel countertops are perfect. Before you decide on which of the countertop alternatives to purchase, make sure to determine what you truly need. What style are you going for? 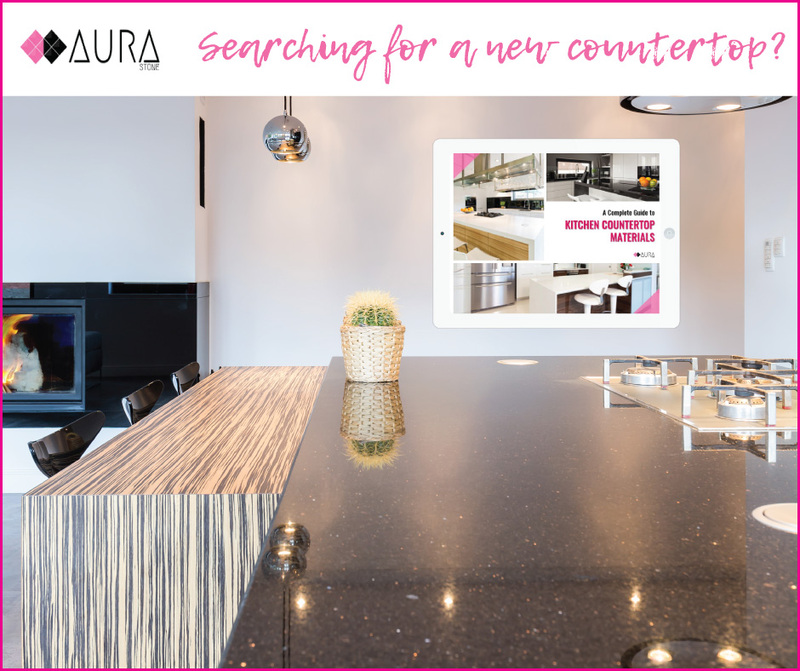 How will you be using the countertop? Are you a busy person who doesn’t want to worry about maintenance? Do not be surprised after considering all the factors, you may still end up choosing to go with classic quartz. The best way to decide is to speak to the experts. They can steer you in the right direction, and help define your expectations.